I know we all love free plugins. This one is a premium plugin and requires your receipt number to work. Not a bad way to keep pirates at bay. You are also going to need your AWS credentials to get started. If you have never worked with AWS, you can get a free account here. What’s nice about this plugin is the fact that it is location-aware. 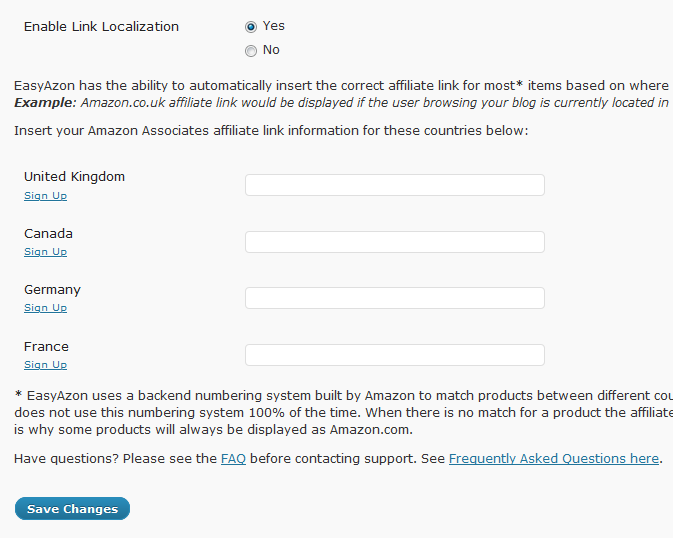 So if your visitors are coming to your site from France, it could show them links from Amazon FR’s associates program (you need to sign up for those accounts and enable Link Localization). 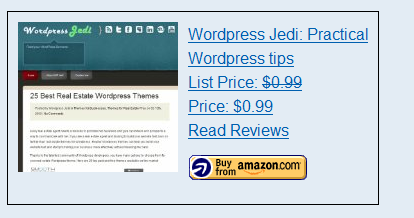 This plugin adds a small section to WordPress interface which you can take advantage of to search through Amazon products. Everything is done on your own website. Once you find the product you want to add to your site, you can add its text link, image, or its info box to your site. As you can see, Easy Azon displays plenty of information about the product and a nice little call to action button to encourage visitors to take action. The fact that these links can be all localized is a huge plus. You are still going to need a decent amount of traffic to make 6 figures or more from Amazon. 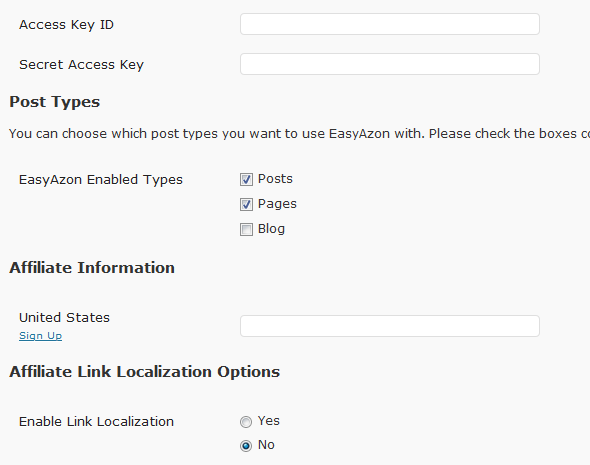 But plugins such as Easy Azon can help. If you have to deal with Amazon’s associates program on a daily basis and want to save time adding products from that program to your site, Easy Azon has you covered. It is well designed and has a lot of potential. It is very easy to use too. I would love to see other affiliate programs added to this plugin. Having the ability to rotate links of same products from different affiliate programs would be awesome too. Of course, this plugin does not promise those things. But imagine if it offered them.